Beekeeping is an age-old human endeavor that has been called "ranching for the intellectual." 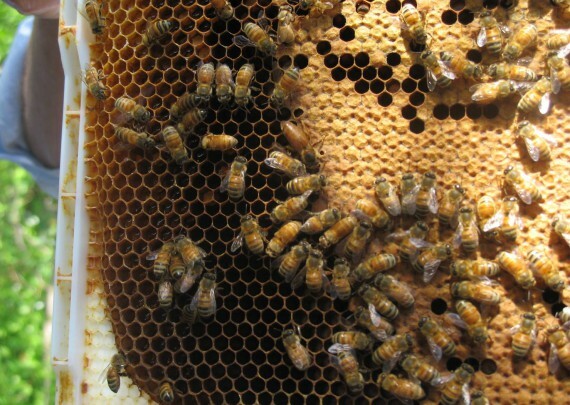 With that in mind, we have brought to Park a little old-school animal husbandry, managing hives of 60,000+ sisters. 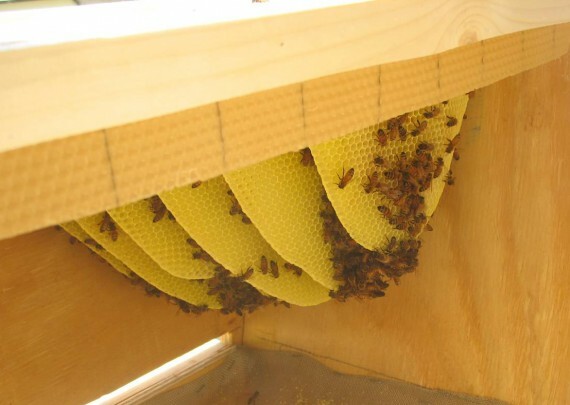 We currently have three traditional Langstroth hives. Students in Park Beekeepers harvest and market our honey crop, make lip balm and candles, and offer educational opportunities for the larger Park community. Park Beekeepers began in the Spring of 2006 with the introduction of a one year old hive from New York. 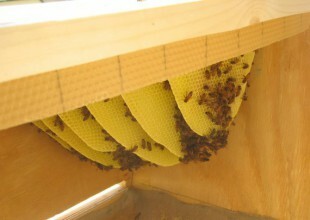 To this we added another standard Langstroth hive and a top-bar hive that we built. Both of these hives were started with two packages of bees that were ordered from Georgia. Additionally eight students and two teachers, Julie Rogers and Jeff Jennings, took a short course in beekeeping from the Maryland state bee inspector at Oregon Ridge Nature Center. 2011 20 lbs We actually pulled a lot more honey off of the hives but took too long to extract it and finally decided to give it back to the bees. 2010 228 lbs About 20 gallons. This figure only includes 5.5 extracted supers for about a 40 lb average. 2009 55 lbs About 5 gallons of honey. 2008 80 lbs About 7 gallons of honey. 2007 140 lbs About 12.5 gallons of honey. 2006 20 lbs About 2 gallons of honey. 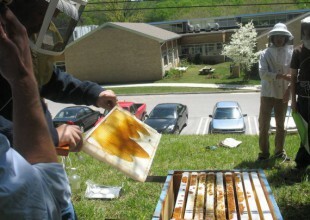 The Park Beekeepers work with the Lower School to teach students about bees and beekeeping. 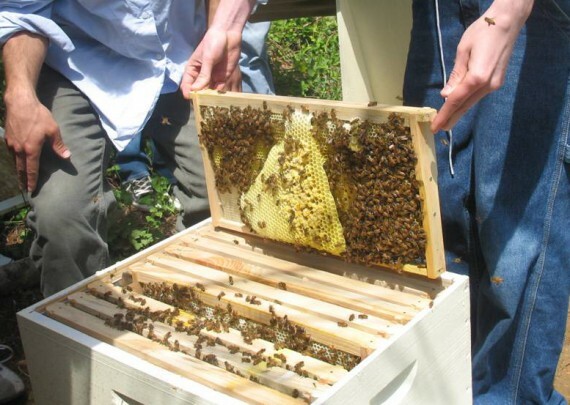 For the past three years we have run a program in the Spring in which student beekeepers have given presentations to Lower School classes explaining about bees and beekeeping. In the Fall we invite lower school classes into an Upper School science classroom for a two day honey extraction extravaganza where the students help decap, spin and bottle the honey from the bees.